A few years back, I read the book "The Driver" written by Alex Roy. This book chronicled his life and more importantly all of the driving events he has participated in. Most of his experience was gained during the different Gumball Rallies that took place in the early 2000s. The second half of the book focuses on his infamous New York to California record run. This is something of lore and legend that only the bravest of drivers attempt. 32 Hours 7 Minutes is a film that explores the history, drivers, and most recent attempts to beat that record. 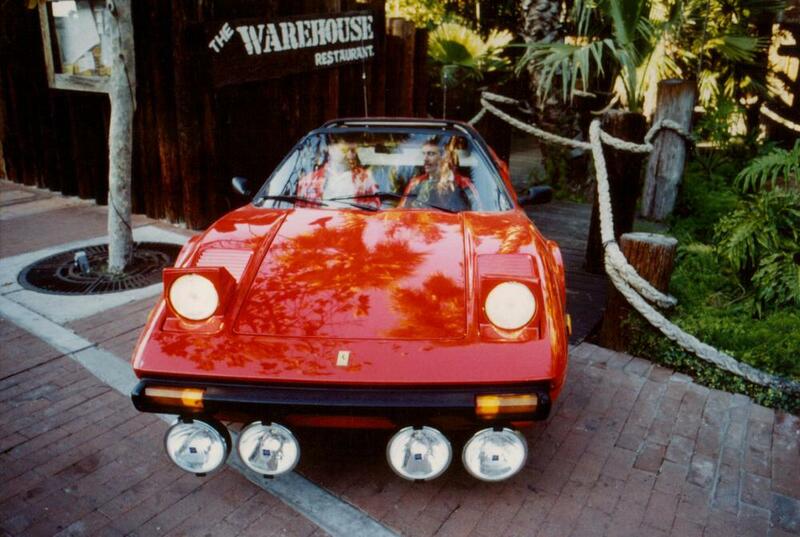 Ferrari 308 from 1983 US Express - Take note of the amazing radar detector technology of the time. The movie 32 Hours 7 Minutes starts off analyzing the entire history of the infamous Cannonball Run and also the later US Express. Since the invention of the automobile, it seems like there has always been somebody attempting to be the fastest driving from NY to LA. Each year a new challenge shows up creating yet another issue for a potential record holder though. The late 70s and early 80s are when this challenge kind of gained speed and became popular. Most of the drivers are piloting some of the coolest vehicles like the Monte Carlo SS, Ferrari 308, late 70s Trans Ams, and also some great 1980s Porsche's. We get a really detailed view of the 1983 run in this film and how that cemented the record for over twenty years. Cory Welles, the director, focuses on her personal relationship of the record holders and how the accusations of cheating come into play. 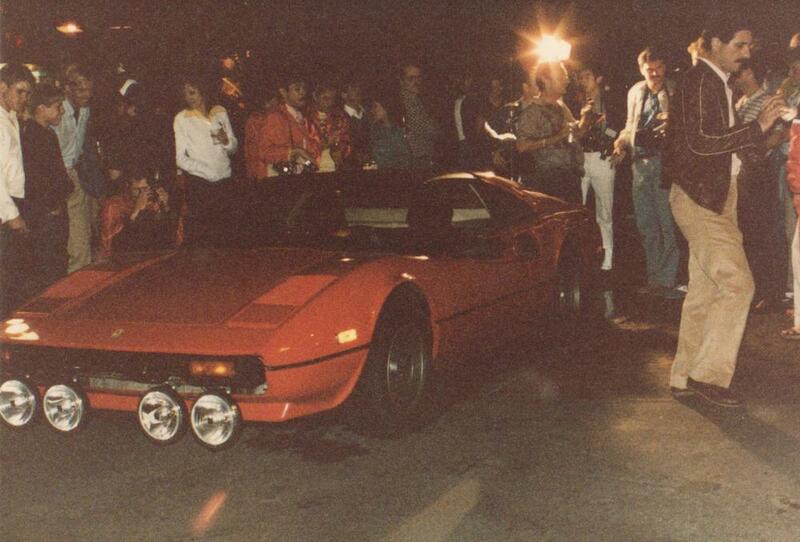 Many of the competitors did not believe the Ferrari 308 made the run in 32 Hours and 7 Minutes, and they are literally mad about this. This sort of road racing that isn't sanctioned, monitored, or legal has all sorts of loopholes. Extra fuel tanks, spotter planes, auxiliary lighting, and of course anti-police tech in the cockpit - all of these items aren't regulated or checked for the most part. So however 1983 really ended, Cory wants to prove that her family friends aren't liars and also that the record is attainable. We jump ahead to 2006 and we meet Alex Roy. Cory and Alex met up basically because of this record, and Alex seems to be the only person capable of beating the longstanding time from 1983. Alex Roy drives a very equipped BMW M5, and we don't mean equipped like it has lots of factory options. This M5 has been transformed into a rolling radio shack of the highway. For this type of driving you don't just throw in a Bell Radar Detector and hit the gas. Alex has upgraded the brakes with Brembo, added a fuel cell to the trunk, removed the factory top speed limiter and of course put in a short throw shifter. The real magic though is inside the cockpit. Digital trunking scanners, CBs, jammers, night vision, police sirens, and even switches that kill exterior lights. All of these items come together to make the interior of this BMW look like James Bond would own it. Tried and true, and just like Hoagies Garage found out, all of these tech upgrades are topped off with a Valentine One Radar/Laser Detector. Alex is a master planner and literally leaves no detail overlooked for these runs. Scanner frequencies are programmed, estimated times are over analyzed, and anything else that can play a factor is discussed - even the Travel John to save precious minutes. The amount of factors that play into this run are all discussed in the film. All of the old timers think there is no way this is possible with today's traffic and vehicle congestion. The police presence nowadays is massive compared to the past. Technology has grown on both sides of the law and that can also include normal drivers who carry a cell phone and can easily turn you in with a quick 911 call. Basically, the planning of such a journey is something that makes your mind race and this film really helps you feel the stress levels. This was mostly filmed in 2006, which means High Definition wasn't as accessible like it is today. If such a record run was attempted in 2014, you can bet that about ten GoPro cameras would be along for the journey. This would offer razor sharp footage that 32 Hours 7 Minutes does not have. For me though, I kind of like the gritty feel of the early footage and also how the most recent run footage looks like somebody on the front lines would capture. Cory Welles was on the front lines for the 2006 Alex Roy run. She was in the back seat for both attempts, filming and documenting. During interviews and when she recalls the trips, Cory has stated she had such a routine going that it was a super intense trip on her end. Keeping the footage organized, watching for police, and anything else that would help the run. The point of this review isn't to spoil the ending or give away major plot details, you can do that on your own with a quick Google search. We are here to tell you how neat of a concept and how good the execution of this film is. If you are a gearhead, car guy, or whatever else you want to call yourself, you will very easily enjoy this movie and find yourself watching it multiple times. I found myself watching it with multiple people, multiple times. Being an independent film, you can tell this didn't come directly from Paramount Pictures. For this type of content though, I almost think some major studio would have ruined it. The film has a sort of illegal feel to it with the grainy footage, random speedometer shots, and aerial views from the spotter planes. You actually get the feeling you are there with them attempting to beat the record and for us, that made the movie so much fun.